The surgeries today are more risk-free and provide excellent results with minimum side effects. 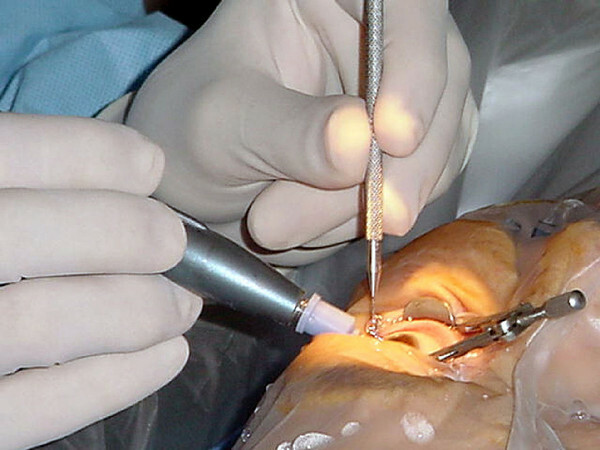 However, since the subject of surgery is the eye, more and more research is still going into the field yielding better techniques with passing time. The first line of treatment for cataracts is still brighter lights, eyeglasses, antiglare sunglasses or magnifying glasses. But when these fail to yield results, surgery becomes a necessity. While the traditional forms of cataract surgery are still considered safe and known to give great results, the use of lasers is taking cataract surgeries to a new level. Laser cataract surgery in Michigan makes use of Femtosecond laser to create corneal incisions and divide the cataract into sections that allow for easy removal. No blades are made use of during the surgery and laser takes their place. This bladeless surgery is very precise, minimizing the chance of other ocular structures getting damaged. The use of lasers enables your cataract surgeon in Shelby Township to make a perfect circular opening so that the new lens can be placed effectively. It also gives the surgeons the ability to correct astigmatism simultaneously when performing the cataract surgery. What this means is that the patients have a greater chance of not needing glasses after the surgery. With this new development, the natural question that you may ask is whether this surgery would suit you. However, the answer to this is not simple. . Your eye surgeon is the best person to give you the answer. A full medical eye examination and consultation will allow your surgeon to discuss all of the issues with you. The surgeon’s suggestion will largely depend on the findings of the preoperative consultation and your specific needs. It is only then that the physician would prepare a personalized vision correction plan for you. You might also be choose the most current, advanced technology lens implant, which largely eliminates the need for glasses after surgery. So, now, if your doctor says you have cataract formation on your eyes during one of your yearly eye exams, you need not worry!